Winner of Allure magazine's "Best of Beauty" award, this new concept in styling allows you to design and redesign your hair without reapplication. Change your look just with your fingers. Adds volume and waves when heat is applied. Easily create unique movement to the hair with a natural finish, without the stiffness. 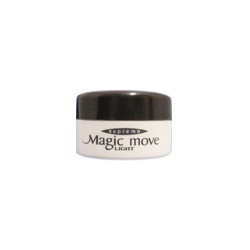 Magic Move	There are 3 products. Strongest hold of the three Magic moves. Creates firm, sharp, sculptured look without stiffness. 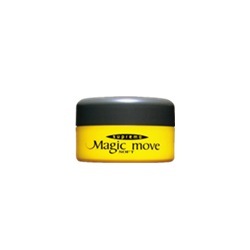 Regular hold that gives firmness to soft hair and suppleness to coarse hair. Can create natural, disheveled look like a towel-dried hair. For soft shaping and finishing touches. Use it as a leave in treatment to give light natural movement and shine to damaged hair.